The Eagle Tavern opened in 1801 as a stage coach stop and tavern. It is one of the earliest surviving structures in Oconee County. The building was restored by the Georgia Historical Commission in 1963, after which the Oconee County Board of Commissioners were awarded ownership. The Board has maintained the preservation of the building since then and has been an integral part of the preservation through historical programs and financial support. 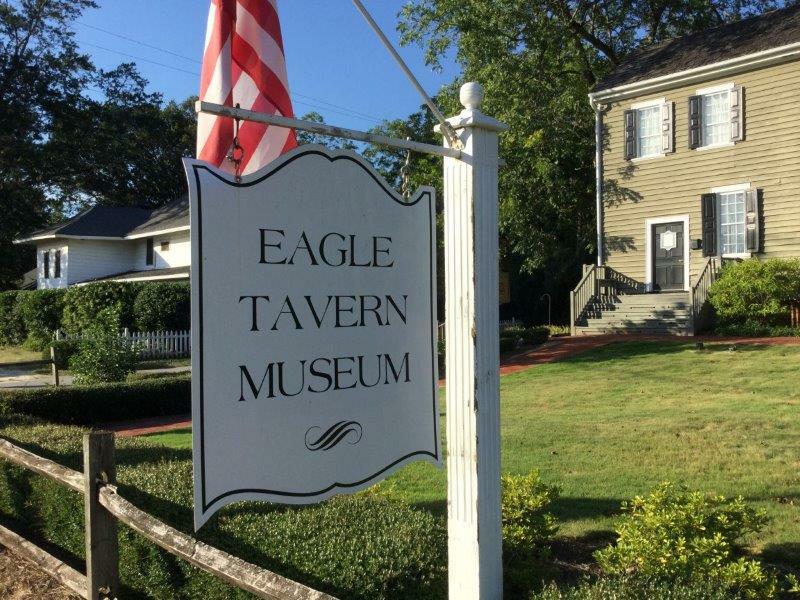 Now a museum, Eagle Tavern remains on its original site in downtown Watkinsville and is a historic reminder of early 18th-19th century life.